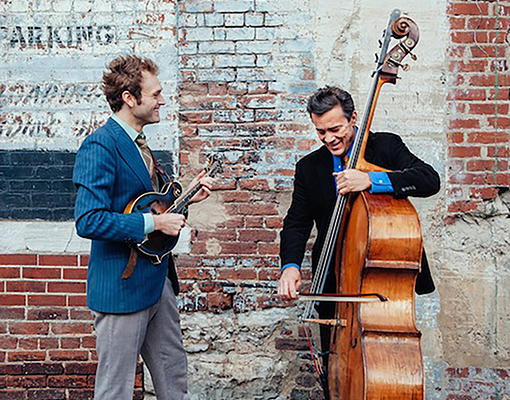 Bassist/composer Edgar Meyer and mandolinist/composer Chris Thile, of Punch Brothers and Nickel Creek, will team up again in Fall 2014. These two MacArthur Fellows will cross traditional boundaries in a diverse program of largely original music. The duo has collaborated on several critically acclaimed projects including the Grammy-winning Goat Rodeo Sessions, a 2008 recording of original compositions (Nonesuch Records), and Chris Thile’s 2013 solo recording, Bach: Sonatas and Partitas, Vol. 1, which was produced by Meyer. The duo’s is going on tour this Fall 2014 to promote their latest collaboration of original material on Nonesuch Records.